MTC-ABAG | The proposed merger of two influential regional agencies has been likened by some as a hostile takeover. 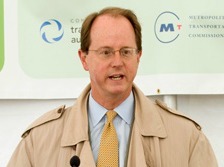 The quickly drawn up merger by Steve Heminger, the head of the Metropolitan Transportation Commission, to pull 15 or more union planners from the nine-county planning agency known as the Association of Bay Area Governments has also been called a power-grab by others. That’s because MTC is the agency that collects and redirects state and federal funding to ABAG and Heminger is, in effect, holding the money hostage to force the partial merger. Heminger has said the proposal will save money. to partially merge the agency with ABAG. But, last week, Oakland Councilmember Dan Kalb added to the clamor by calling the move a “heavy-handed effort” by MTC, while union officials from SEIU Local 1021 say MTC’s gambit is a “union-busting move” that will affect between 15-22 union planners and the pensions of more than 150 retirees. Critics of the merger also say it risks slowing early planning for ABAG’s much-debated Plan Bay Area, a 30-year planning initiative that seeks to promote higher density housing and other land-use solutions to make room for the Bay Area’s expected population boom and limit climate change. However, there was one other aspect of the resolution that went unnoticed, a clause directing Mayor Libby Schaaf, Oakland’s representative on the MTC to vote against the plan. Oakland Vice Mayor Rebecca Kaplan says the impetus for this section of the resolution was because Schaaf had previously voiced public support for the plan. Kaplan, Kalb and Councilmember Desley Brooks initially hatched the general idea of showing council opposition to Heminger’s plan. 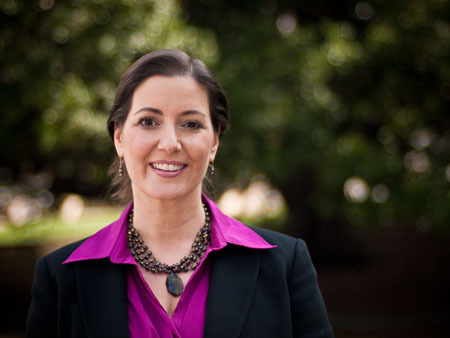 “I kept hearing from people she was in favor of it,” Kaplan said of Schaaf and the MTC merger proposal, including a speech the mayor gave recently to local mayors describing the plans merits..
Kaplan later confirmed with the Oakland city attorney’s office that the council has legal standing to dictate Schaaf’s vote, which could occur at this Wednesday morning MTC meeting in Oakland. “What MTC is doing combines the worst in union-busting with undermining regional planning,” added Kaplan. Posted in ABAG, climate change, Dan Kalb, Libby Schaaf, merger, MTC, Oakland city attorney, Plan Bay Area, regional planning, SEIU Local 1021, Steve Heminger, unions. Bookmark the permalink. Based on the “standards” of Bay area politics and Bay area lawyers, I can think of absolutely no reason whatsoever that those in a position of power cannot demand, AND FORCE, someone else how to vote and/or “think in a certain way. If I had been at that meeting, I would have proposed the group pass a resolution telling both Feinstein and Blum to go fly a kite and also go jump in the lake. And if I was Libby Schaaf and was in a position to vote on an issue, I would vote based on my own judgment, and I would tell both the City Council and the lawyers in the City Attorney's office to go jump in the lake.